Paul Morphy (1837-1884) was a chess champion whose games highlighted the relationship between attack and the positional features of development, center control and king safety. 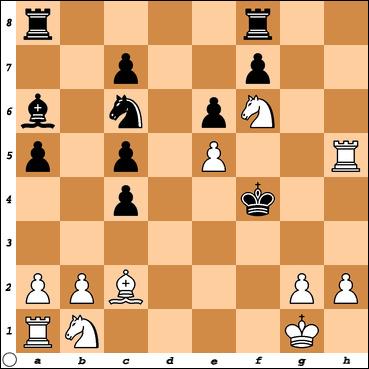 How did Morphy (White) force checkmate in 2 moves ? The move he played prompted his opponent to resign as checkmate was unavoidable. This game was played as part of a Blindfold Simultaneous exhibition where Morphy was playing 8 boards without looking at the positions - a feat of visualisation & memory.